Spacious, with contemporary Sasak design, our Novotel rooms and villas are a truly place for great living. It is perfect for all your needs. Just 19km from the airport and surrounded by lush tropical gardens, enjoy convenience and tranquility all in one. Spacious, with contemporary Sasak design, our Novotel rooms and villas are a truly place for great living. It is perfect for all your needs. Spice Market is an all-day restaurant offering breakfast, lunch and unlimited barbecue every night. You can enjoy fresh Indonesian and international dishes on this beachfront relaxed outlet, along with weekly entertainment during dinner time. With sand between your toes. The Beach Bar is literally metres from the ocean, the bars offers ice cold beverages and a wide range of beach snacks as its specialty. Relax in the sun as we take care of the rest. Overlooking the beachfront, the uninterruppted ocean view makes the Breeze Bar an ideal place to appreciate a snack, refresh yourself with happy hour time and a wide range of cocktails and juices and enjoy the memorable sunset. The facility is very clean and well maintained. The wifi reception throughout the entire property was excellent. The staff were all very friendly and ready to help meet any needs we had. All of the food we ate was excellent. We really appreciated the variety of foods for breakfast, lunch and dinner and the staffs readiness to make sure everything for us was good. However, sometimes the staff was a bit too eager to help take our order or clear the plates. We often felt rushed to make a decision about our meal and many times the staff tried to remove our dishes before we were finished eating. We were very pleased with the motorcycle rental and our snorkling trip with Andy. He is a wonderful guide, safe driver and really took care of us on our excursion. I would recommend him to anyone visiting. The night market is a good idea. People want to have an experience with a market like that, maybe even with more things. This is better than the beach sellers. It was an annoyance to be hassled to purchase items every time we went out to the beach. I don't mind being asked, but if I say &quot;no&quot; then I would like for that to be honored. The customer service at the Lombok Novotel was exceptional. Everyone we came in contact with went out of their way to make our stay a pleasant one...thank you! Really enjoyed the stay at the Novetel. Maybe the swimming pool could do with a upgrade. 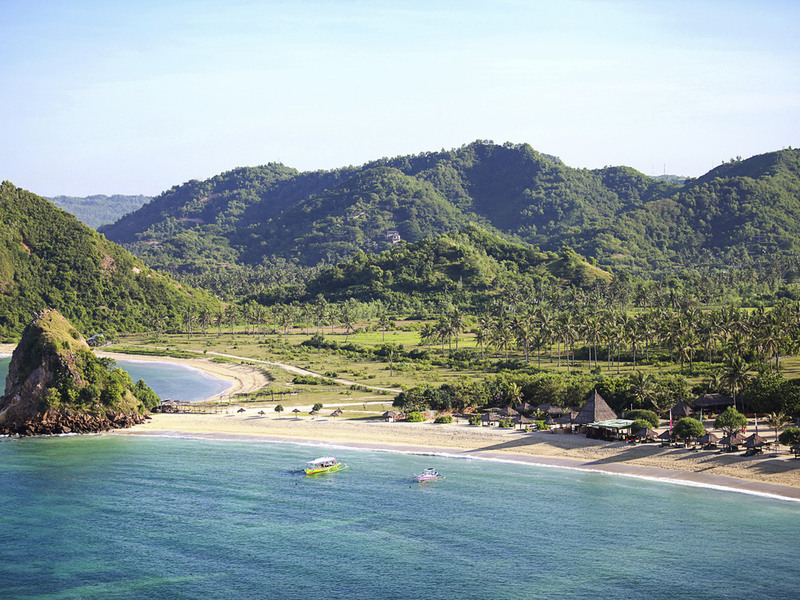 Novotel Lombok was a awsome experience, the staff and management could not do enough. What a great holiday cheers everyone. Your staff were amazing And couldn’t help enough... your beers were not cold enough when we first arrived, but after a little explaining and talking to management, every day after that your staff had them on ice in a cooler, well done team!! Thank you to the girls that did all our massages, and all the wate staff that continued every day to serve us well. The food was first class, compliments to the chefs.A very well maintained resort. 1 other thing Your pool area is very dangerous, the stairs to get into the pool the rails were just not sturdy enough,and when you get out the floor is very slippery, and couple of us did slip. Maybe a re think of the whole area a little out dated.. thank you again and hope to visit again. Loved the hotel and environment, it was quite and homey. The room was very clean, food from breakfast and the staff it’s very wonderful. Thankyou for the warmest hospitality. A very relaxing place with good atmosphere and very pleasant staff. no major problems at all. The accomodation was excellent, the staff were very friendly, the food was great. Breakfast on the hill was fantastic. A voucher for discount on the food and drink would have been handy ,as I had to keep my letter with me from luxury escape to redeem items. My stay in Novotel Lombok was really enjoyable. The room was really comfortable and I love how close it was to the beach. My favourite part is the restaurant, where I can dine by the beach. The staffs were also very kind and helpful. I'd love to comeback for weekend staycation. love the place, love the staff services, too bad it was cloudy, otherwise it was going to be the perfect holiday. The location of the resort are located by the Kuta Beach and the ambiance of the resort transported you to a traditional Lombok culture. We stayed at pool Villla #606 where the place is fantastic. The room is very spacious and clean and well decorated. The pool is great and has nice outdoor look. We had most of our meals at the restaurant and the food is superb. The breakfast spread is equally good and always looking forward to it. We also had our massage done at the hotel and the therapists were very attentive to our needs and always ensure that we had a good massage experience... The Spa is well decorated and not to be missed. The staff are super friendly and made our stay a very memorable one. Right from the GM to the ground staff, always there to ensure that you have a good experience when leaving the resort. Before we even arrived, they have responded to all our request and we are very impressed. We will definitely stay there again when we are in Lombok again and yes it is not far from the airport. It is about 30 minutes away. Wonderful, the only gripe, is the villa we stayed in needed some attention. The air conditioner wasn’t coping. The mosquito net looked very old, and had a large hole in it. The doors all had gaps in them. There were large gaps where the roof overlapped the walls. Long story short, some money needs to Bne spent on some TLC. I stayed here for 3 nights with my friends for vacation. My first impression when the General Manager and Front Office Manager welcoming us. I'm so speechless when they welcoming us with the warm welcome. And I'm amazed when the room service give us the welcome fruits. Tomorrow morning, we do breakfast and again the staff in the restaurant very nice and helpful and special thank you for Pak Santana. He did make us very comfortable when in the breakfast. All the staff is very kind and helpful. Thank you for make our vacation great with the hospitality. Awesome people, great team and fantastic services. I was not expecting this level of commitment and service. Fantastic. Thank you guys very much! I will be back soon and I will referral you as many people as I know. Thank you again. Was fantastic staying with you! Cesar H.